We all have friends and family members in our lives who are difficult to find the right gift for. Maybe they are very particular about what they like, or they tell you they don’t want anything, or they already seem to have it all. 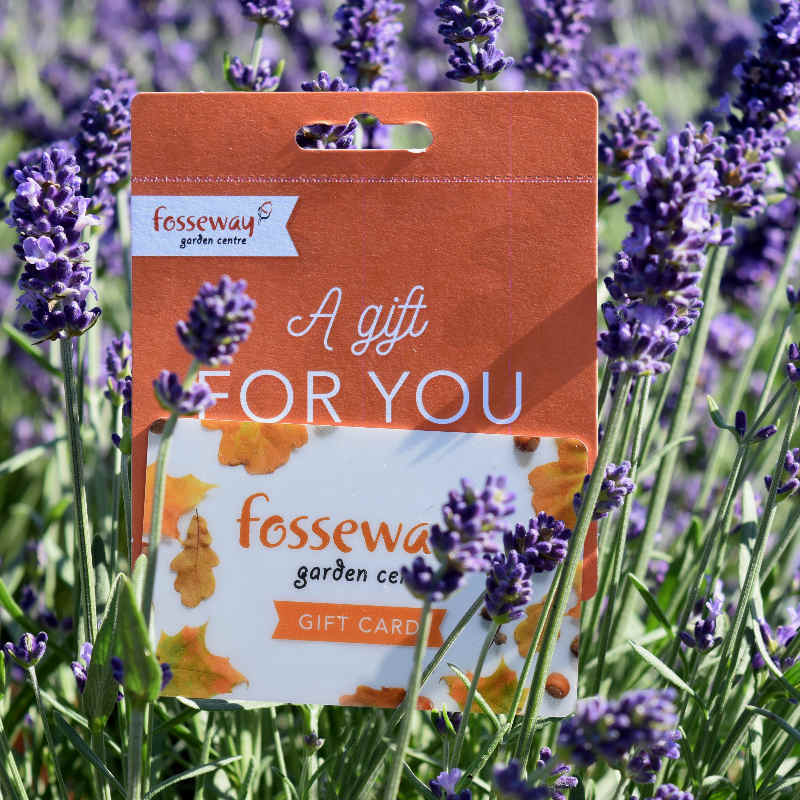 One simple, stress-free way to make sure you give a wanted gift is to choose a Fosseway Garden Centre Gift Card. This way, the recipient can browse at their leisure at Fosseway Garden Centre and use their gift card to spend on whatever they like in store . Whether they select a quality plant they can tend in their garden, a high tech new gardening accessory or treat themselves to something from our range of luxury toiletries, you know they will love their choice. Fosseway Garden Centre Gift Cards can be purchased online or at the till. Fosseway Garden Centre Gift Cards are available in denominations of £5, £10, £15, £25, £50, and £100. Expiry date between is 12 months. A perfect gift if your unsure what to get for someone.